Members of the 2018 Eastern softball team pose for a picture after sealing the outright TVC Hocking championship, with a 19-3 victory over Southern on Friday in Racine, Ohio. RACINE, Ohio — They certainly played like champions. 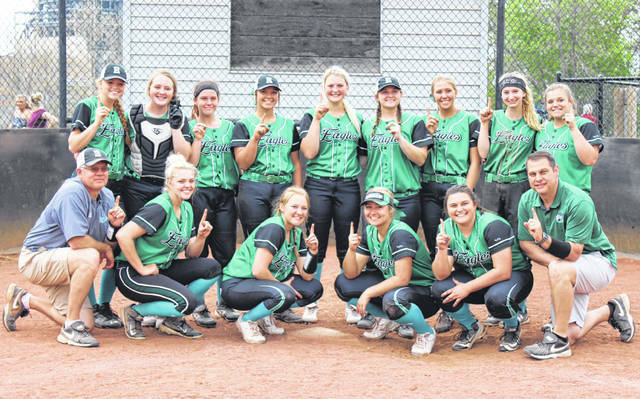 The Eastern softball team defeated Tri-Valley Conference Hocking Division host Southern by a 19-3 count in six innings on Friday night at Star Mill Park, giving the Lady Eagles the 2018 league championship all by themselves. Eastern (16-4, 14-2 TVC Hocking) — which could have still won the league title outright with a loss — has now won the league six times in the last seven years. The Lady Eagles now have 14 conference championships in program history, including four under fifth year head coach Bryan Durst. The Lady Eagles’ road to the TVC Hocking title wasn’t direct after losing their season opener at Belpre, but Eastern rebounded and won 14 of its final 15 league games, including a stretch of 10 straight. This is the second time in three seasons that Southern (12-7, 11-5) has finished with an 11-5 league mark. Despite falling short of their TVC Hocking goals, the Lady Tornadoes and head coach Alan Crisp hope to make up for it in the postseason. 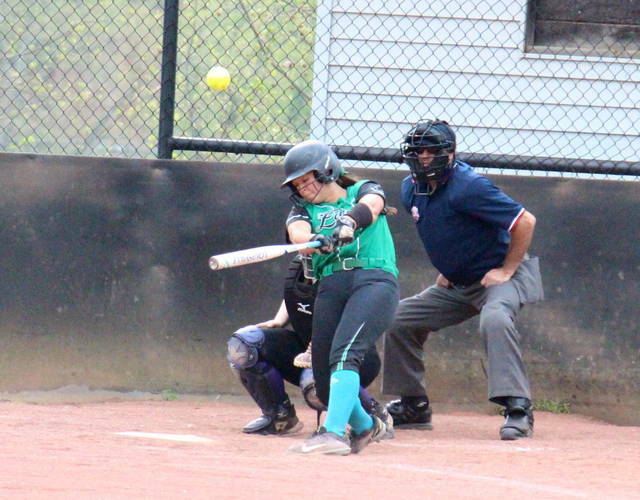 The Lady Eagles struck for seven runs in the first inning, which was highlighted by a three-run Sidney Cook home run and a two-run Kelsey Casto home run. Southern got a run back in the bottom of the first, as Sydney Cleand singled home Jaiden Roberts. However, Eastern stretched its lead to 10-1 in the top of the second, as Kelsey Roberts doubled home Cook, then Mollie Maxon scored on a double steal, and finally Courtney Fitzgerald singled in Tessa Rockhold. Southern was retired in order in the bottom of the second, but held Eastern to a hit apiece in the third, fourth and fifth innings. In the bottom of the third, SHS made it a 10-3 game, as Paige VanMeter doubled home Kassie Barton, and then Roberts scored on a passed ball. 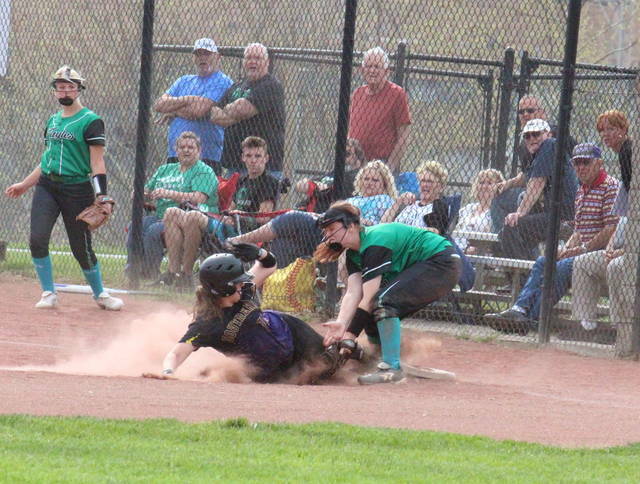 However, the Lady Tornadoes didn’t make it beyond second base again. 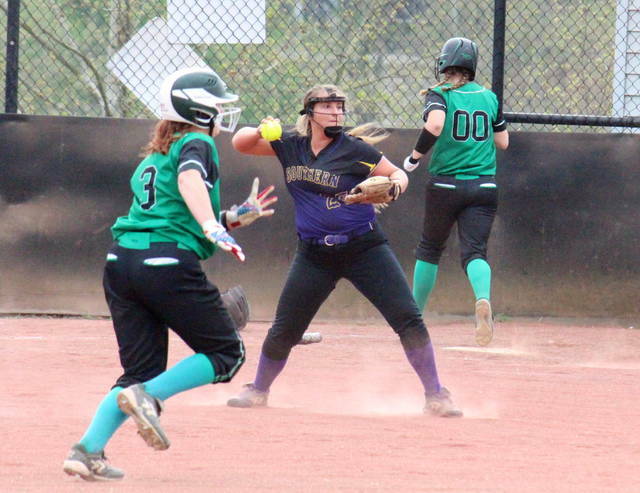 The Lady Eagles more than made up for their three-inning drought in the top of the sixth, plating nine runs on the strength of seven hits to cap off the 19-3 win. Tessa Rockhold was the winning pitcher of record in five innings for EHS, striking out three batters and walking four, while giving up three runs, two earned, on six hits. Elaina Hensley pitched the final frame for Eastern, striking out two batters and walking one. Cleland took the pitching loss for SHS, striking out two, while allowing 19 runs, 12 earned, on 21 hits and a walk. Both teams left six runners on base, with Southern committing all-3 of the game’s errors. Leading the Lady Eagle offense, Cook was 4-for-5 with a home run, two doubles, three runs and three RBIs, Roberts was 4-for-5 with two doubles, two RBIs and one run, while Tessa Rockhold was 4-for-5 with a double, three runs and three RBIs. Kennadi Rockhold was 2-for-5 with a double and two runs for Eastern, Emmalea Durst was 2-for-5 with a double, a run and an RBI, while Fitzgerald was 2-for-5 with three RBIs and one run. 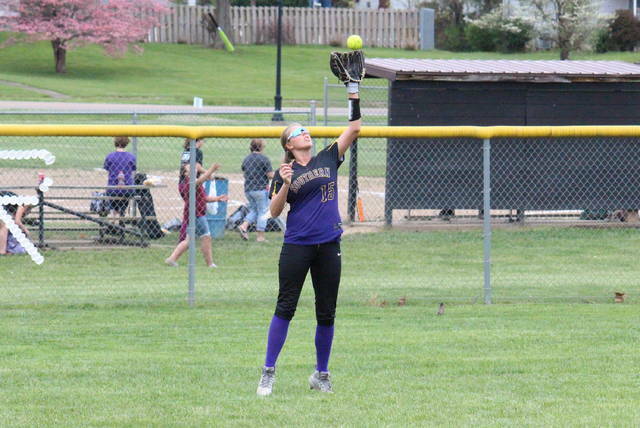 Casto hit a home run, scored twice and drove in three runs in the win, Cera Grueser singled once, scored twice and drove in two runs, while Ally Barber singled once, scored once and drove in one. Maxon scored three times as courtesy runner for EHS. Cleland was 2-for-3 with an RBI to lead the Lady Tornado offense. VanMeter contributed a double and an RBI to the SHS cause, Barton singled once and scored once, while Roberts chipped in with a pair of runs. This completes the season sweep of SHS for the Lady Eagles, who defeated the Lady Tornadoes by an 8-2 final on April 5 in Tuppers Plains. The Eagles’ have also won conference championships in 2016, 2015, 2014, 2013, 2012, 2010, 2009, 2004, 2003, 2001, 1996, 1995 and 1985. All titles with the exception of the 1985 championship have been in the Tri-Valley Conference. Following a pair of non-conference games on Saturday, Eastern will have a tournament tune-up against TVC Ohio champion Alexander on Monday. Southern and Eastern both begin the postseason on Thursday, with SHS hosting the winner of Pike Eastern and Federal Hocking, and the EHS hosting the winner of South Webster and South Gallia.